Bandai’s Kamehameha Wave Goku action figure that when placed together, recreate iconic scenes from the manga or TV show. Show accurate 7-inch figure. 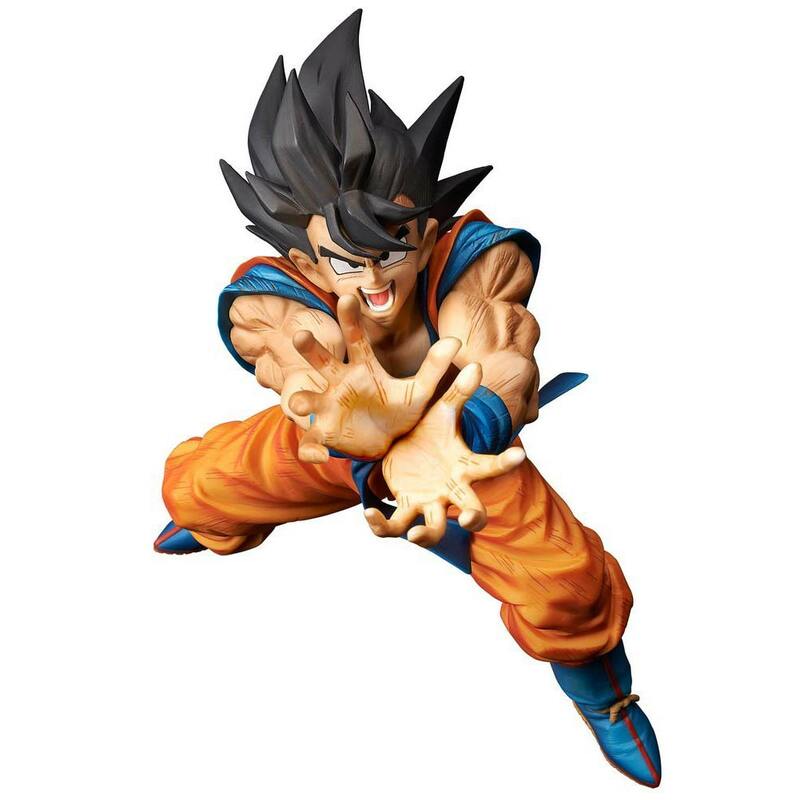 Due to the overwhelming demand, the BANDAI Import Collection released the Premium Color edition of the popular Super KamehameHa Wave Goku action figure from the popular Dragon Ball Z franchise! Preassembled and set in a World Edition window box, this version has added depth in coloring with fine line details in every clothing fold and muscle ripple. Unlike other figure sculpts, this special release features highly detailed motion effect marks that really brings this figure to life! Comes with secure foot base for added balance. The figures themselves are also fixed in the power up pose for the famous Kamehameha. This is the “Turtle Devastation Wave” attack that Master Roshi invented and taught Goku. For anyone that that knows their global history, then the name of this attack should sound familiar as it is in fact the name of an equally famous Hawaiian king and his subsequent dynasty. It turns that out that Akira Toriyama’s wife suggested the name for the attack, as she thought it would be easy for her husband to remember. Everlasting hero of Dragon ball Z, Goku!